We all know the theories of lifetime values of clients. While loyalty programs are supposed to translate these theories into concrete CRM measures, they often assume a different, less visible function though – working fundamentally against the theories. At least on paper, the determination of a customer lifetime value and the resulting position in the lifecycle is a pretty straight forward exercise. Of course, lack of individualised data often means that companies need to work with average and aggregate data, but this should provide at least a reasonable basis. However, the precise value of a customer can certainly only be determined posthumous – since factors such as a change of job or change in the family situation can result in considerable deviations from expected results. 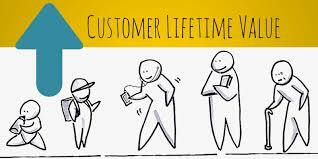 Based on sociographic data, the determination of a future value of a customer is key to many lifecycle value theories. It seems obvious that a young customer fresh off university with an international background and starting his or her career in a trainee programme of a developing multinational company should have a bigger potential for a company in the travel industry than a mid-level public servant working in the townhall of a small city on the countryside. In spite of his potential, such a client is usually price sensitive in his young years though. The rise of the likes of Airbnb is not only the result of changed travel behaviours, but also because they represent a highly customisable value for money – something at least as critical to young people than technology or social media features. Given this price sensitiveness, travel loyalty programs are thus of particular interest to these people thanks to the financial benefits the programs provide. The motivation to join these programs for most people under 30 is of financial nature – they are not necessarily interested in relationship aspects. And when looking at the programs, you quickly understand that you can save 5 to 10% of your costs (or more) when using these programs in a smart way – what is ways superior to the value offered through loyalty programs in other industries and does explain the popularity of the schemes. While there is nothing bad per se in the fact that people start their relationships with these programs so early, it means, however, on the other side that they already have 20+ years of experience with them until they reach the point of being at the height of their individual lifecycle value curb. The objective of each loyalty strategy should be that you’ll have managed to win the loyalty of that customer when he is around 50, has lots of disposable income and still many years to spend money as less price sensitive customer. And the loyalty programs are to influence their behaviour in a subtle manner at that point, building on a strong and trustful relationship. Loyalty programs as a vehicle to get access to profitable customers, which are now cash cows for the company. So far for the theory. But “trustful” is too often a term in full contradiction to the experience of loyalty program members. If you’ve been a member in whatever travel loyalty program for ten years or more, you’re very likely to have seen it all: Decreases of the value proposition, lack of transparency, failure to deliver elite benefits, irrelevant communication and so on. Each of these elements on its own would already be an obstacle to trustful relationships. Being exposed to several of them on a regular basis only worsens the picture. And in parallel, the overall customer experience as such needs to evolve with customer expectations. Relationships at that point have often turned sour and unless considerable benefits – such as for top elite members – are at stake (which come with a corresponding cost for the program operator), the interest in the programs is often at a low point. The program is not able to fulfil its role it is supposed to fulfil. As lifetime cycles in the travel industry tend to be much longer than in other industries, we should understand the tremendous opportunities coming from that. But this also changes how programs need to do business. The quarterly or annual view can certainly not be omitted completely in order to satisfy internal stakeholders. But long term success at the level of the individual relationships can only be obtained by being reliable over a long period. Doing such self-critical reflection how reliable you really are with your program over the course of many years is certainly a very productive exercise for each loyalty program manager – and it should also cover periods of previous loyalty managers. It can deliver interesting insights into what you may need to change to ensure that you don’t lose your customers when they should actually be the most loyal to you. Loyalty remains what it is: a long term game, requiring day-to-day efforts. That is like having a vision for your child how to succeed in life, while being consumed with day-to-day issues of much less strategic nature. Nobody ever said that loyalty management would be an easy task.